2011 was a sad year for us booksellers. 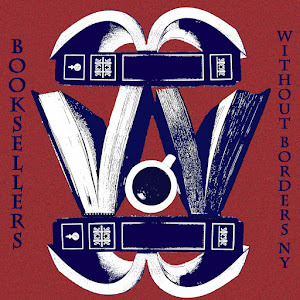 Our beloved Borders went out of business. 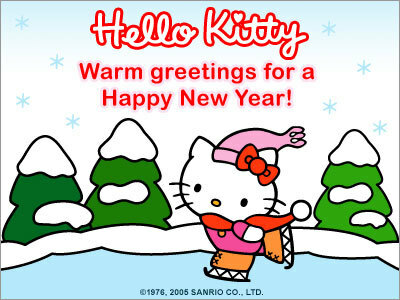 We're looking forward to 2012 though. Just because our store is gone, it doesn't mean our friendships have to end. 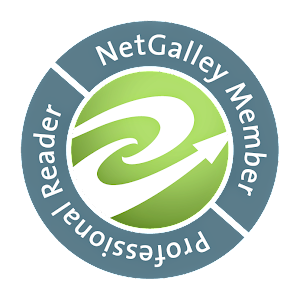 We have our book club and this blog, which we're having a great time with; I hope you readers are too. We read a lot of great books this year and there are some books we can't wait to read in 2012. And because we're so awesome, we're going to share our favorites with you ! Alan's favorite book of 2011 was a re-issue of "Princess of Mars," originally published in 1914 by Edgar Rice Burroughs. He's anxiously awaiting "The Winds of Winter." It's the latest novel in George R.R. Martin's "A Song of Ice and Fire" series which has been adapted into HBO's popular "Game of Thrones" series. Jess B. loved the sequel to "I Am Number Four," "The Power of Six" by Pittacus Lore. She's counting down the days until she can get her hands on "Dragonswood" by Janet Lee Carey. Fortunately for her, it will be released on 01/05/11! Meanwhile, there is no official 2012 release date for Alan's pick. Jess P. was inspired by "Heaven is For Real," a true story byTodd Burpe recounting his 4 year old's son descriptions of heaven after waking from emergency surgery. In 2012, she's looking forward to a new release from one of our favorite authors, Michelle Zink. Zink's latest, "A Temptation of Angels," will be released 03/20/12. Naomi enjoyed "What Language Is," by John McWhorter. She told me he's hilarious. She's hilarious herself. So, trust her on this. 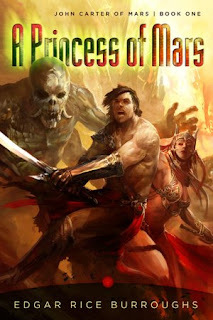 She loves the cover of "Loss" by Jackie Morse Kessler; it's the latest in the "Riders of the Apocolypse" series. 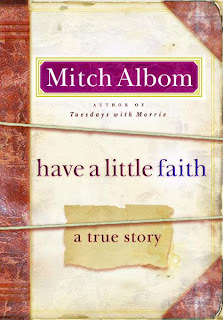 It will be released the same day as "Temptation of Angels," 03/20/12. I think 03/20/12 will be a big day for the "Laydown Lowdown." Rachel's favorite book of 2011 was "The Wise Man's Fear," by Patrick Rothfuss; it's the second book in the "Kingkillers Chronicles." In 2011, I was thrilled to go back to high school. Not my alma mater but Sweet Valley High. I flew through the pages of "Sweet Valley Confidential," by Francine Pascal. It followed the infamous California twins and their friends in the present day at 26 and 27 years of age. 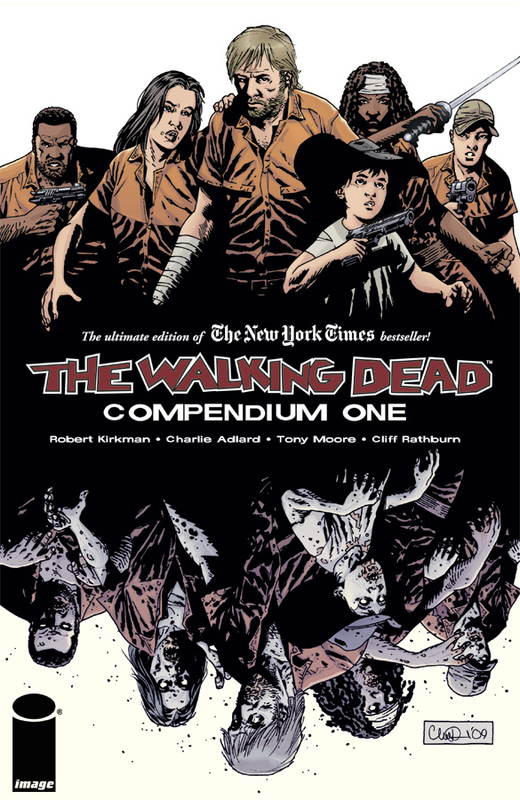 I have to wait until September for my most anticipated release in 2012. My cousin, Emily Helden Neuburger has written, "Show Me a Story: 40 Craft Projects to Spark Kids' Storytelling." Unfortunately, it won't be available until September. In the meantime, I'll tide myself over with "Deadlocked," Charlaine Harris' latest Sookie Stackhouse novel which will be release in May. Let's close 2011 with a laugh. One of our favorite visitors at our store was my dad. He emailed this joke to me this morning. Billy had chosen an old reel of movie film. Nanny asked: "How is it?" Billy replied: "The book was better"
Have a Safe and Happy New Year Everyone ! Labels: Basso for Hire, group post, Jenn N., Jess B., Jessica P., rachelyons, Rebecca T.
My family loves to take a vacation down at the Outer Banks in North Carolina. We've been going for many years and every time the hardest packing decision I have to make is which books to bring. This year it was harder than usual. Since I have virtually no time for pleasure reading while I'm in school my breaks are crammed full of all the books I've been dying to read but haven't had a chance to get to yet. Plus, I made the mistake of running to the library to pick up one ONE book to bring with me. Of course, once I get into a library it's all over. Which is why my TBR pile is particularly large this Christmas break. I've been eyeing this series for a while now. Picked up a few of them when Borders closed, but not the first one. Finally got my hands on that and decided this was the perfect time to read it! Ever since this book came out I've heard people talking about it. I've heard so many great things about the illustrations and the stories. Finally, finally found it at the library! This has been on my TBR list for a long time, but ever since Brandon Mull did a signing at our store I've been really wanting to get to it. He was the nicest person ever. Besides, it's our book club's next read, so I kind of have to read it before January 15th so I have something to talk about! 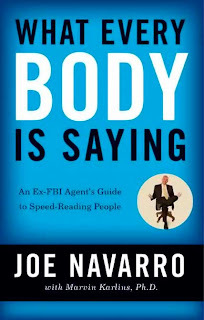 I have been seeing SO much buzz about this book. 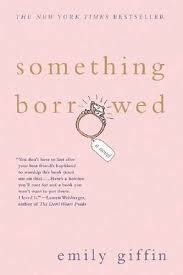 Also, I noticed that Jess B. recently started reading it and we usually have similar tastes in YA books. So when I saw it on the shelf at the library I had to snag it and bring it along. While I read a LOT of YA fantasy, I'm pretty severely deficient on my regular fantasy. Brandon Sanderson was the author guest of honor at Polaris, a sci-fi/fantasy convention I attend in Toronto, and he was amazing. His panels on writing were entertaining and inspiring and I really want to read his books. Hence the bringing it. This is one of those books I keep seeing people read or talk about. One of those books that shows up on high school summer reading lists a lot. The cover keeps intriguing me. Time to give it a whirl! This cover kept catching my eye, but I never had a chance to pick it up. When I went on my fateful trip to the library before we left it caught my eye again. The synopsis inside the cover flap was so intriguing I had to add it to my ginormous pile. I am a huge, and by huge I mean absolutely ginormous, fan of Frances Hardinge's books. Fly By Night was so amazing and Fly Trap just as good. So when I saw this on the shelf I absolutely had to take it out. There was no maybe about it! With all of the YA and fantasy on my plate I decided to grab a chick lit book in case I was needing a change of pace. Have heard a lot of good things about Giffin's books and wanted to see for myself what I thought. 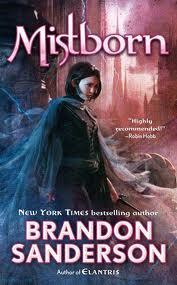 I read, and really enjoyed, Incarceron. I've been meaning to read the sequel since it came out, but just haven't had time. 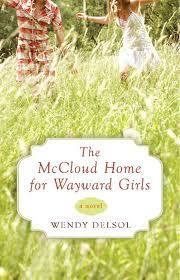 I loved Wendy Delsol's book Stork Girl. In fact, I wrote a review on it that she liked and posted on her site (!). So when I was browsing the fiction section right before Borders closed, and saw her name I did a happy jig and snatched it right up. Another change from the YA/Fantasy pile and I'm really hoping I get to it this vacation. What are your favorite kinds of vacation reads? 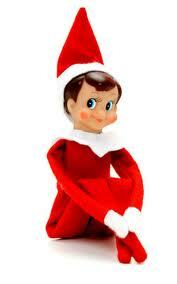 Elf on a Shelf: Cute Holiday Tradition or Cross-Dressing Christmas Demon? 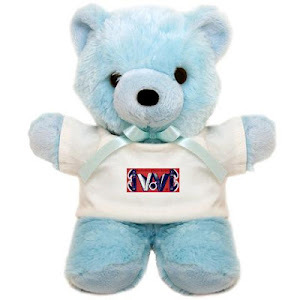 I bet you all can't wait to put this little darling on your mantle, right? Also, as you may have noticed, this elf has darker hair, skin, and eyes than the previous elf. This does not make selling these elves any easier. Which elf do you give a customer when they ask for the "normal elf"? 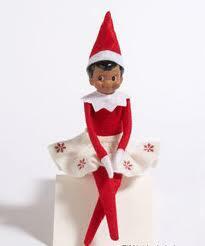 Do I assume that a darker skinned person automatically wants a darker skinned elf, and vice versa? This elf not only makes me extremely uncomfortable, but it also makes me a racist. Therefore, I think this is one Christmas custom that needs to be put to rest. Everyone should gather their elves, cement them into their large white boxes, and throw them into the ocean. I think this is the only way to make sure we don't find ourselves with an Elvish revolution on our hands. However, the recent slew of new Elf on a Shelf merchandise, and the rate at which we sold these little jerks, guarantees we will be stuck with this tradition for years to come. I can assure you, though, that my children will not partake in this tomfoolery. I want visions of sugar plums, not nightmares of RuPaul the Elf, to dance in their heads. Do you have Christmas giftcards or holiday cash burning a hole in your pocket? Then, you may be interested in today's new releases. Daniel Handler, more commonly known by his pseudonym, Lemony Snicket, releases his first novel for Young Adults. 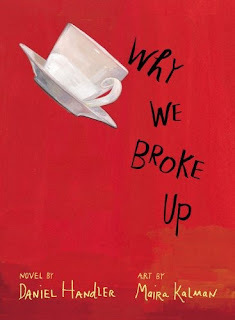 "Why We Broke Up," tells the story of a teen couple's romance and ultimate break up in the form of a letter and illustrations. If YA isn't your thing, you may want to check out the new releases in Romance. Best-selling author, Christine Feehan's "Spirit Bound," is released today. It's the 2nd book in the "Sea Haven" series. Other new releases in Romance include "Sleepwalker," by Karen Robards, "Sugar Rush," by Donna Kauffman, and "The Duke is Mine," by Eloia James. Head over to the Mystery section and you'll find Tami Hoag's latest entry in her "Oak Knoll" series, "Down the Darkest Road." Other new releases in fiction include, "All the Flowers in Shanghai," by Duncan Jepson which follows a young woman in Shanghai during the 1930's and "Forever Soul Ties," by Vanessa Davis Griggs. Check back next Tuesday for information on the latest new releases but until then you may want to check out James Patterson and Maxine Paetro's latest novel, "Private: Number #1 Suspect." This book will be released on Monday, January 2, 2012. For some reason, Mr. Patterson's books are always released on a Monday rather than the standard Tuesday release date. 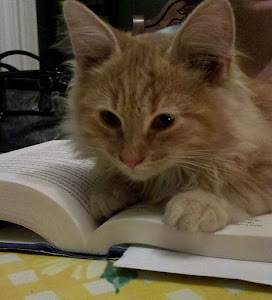 Perhaps, he just wants to have the first new book released in 2012? Happy reading and remember to support your local bookstore whenever possible ! Our blog may be online but your shopping doesn't have to be. I know we're cutting it close to the reindeer's flight but my friends and I have been good boys and girls this and we really hope you'll place the following books under our trees. Albert would like "Breadcrumbs" by Anne Ursu. It's a modern retelling of "The Snow Queen." And while we're talking about crumbs, I hope you enjoy the cookies we've left out for you. 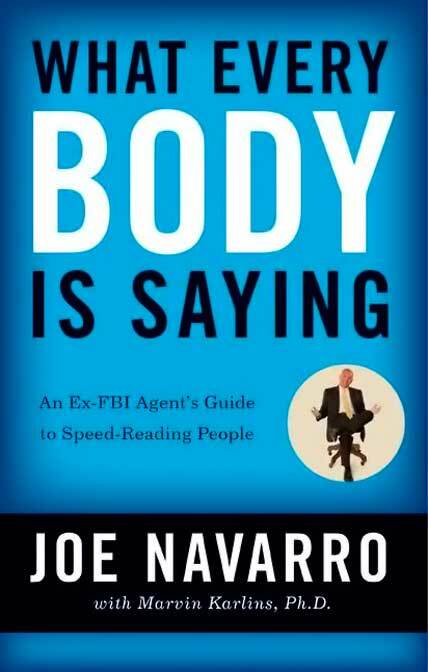 Eileen would like "What Every BODY is Saying: An Ex-FBI Agent's Guide to Speed Reading People" by Joe Navarro. Hmmm, after reading the next book club meeting, maybe she can read us? 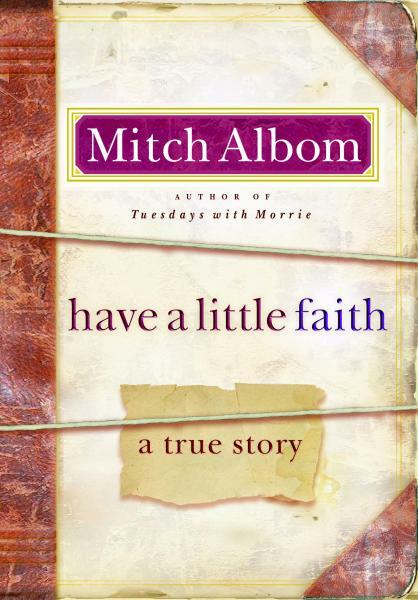 Jess P. would love, "Have a Little Faith' by Mitch Albom. She just saw the TV Movie and knows that the book is always better. Rachel would be thrilled to find "The Complete Works of William Shakespeare: Barnes & Noble Classics Edition" and "The Tao of Pooh." Two books for Rachel, perhaps one is a gift to a man whose beard rivals yours, Santa? 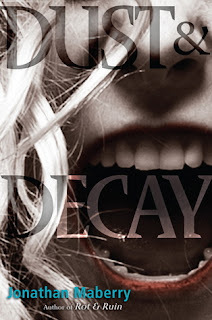 Rebecca T. would like "Dust and Decay" by Jonathan Maberry, the sequel to "Rot and Ruin" which has a really cool looking cover. 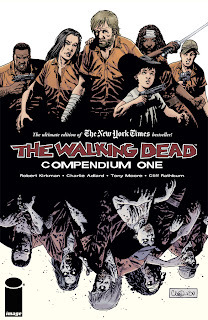 Claire would like the compendium book to the "The Walking Dead Compendium" by Robert Kirkman et. al. It's a great gift for a fan of the AMC hit series like Claire. And I (Jenn N.) would shriek delight if I found, "Alexander McQueen: Savage Beauty" by Andrew Bolton, with contributions by Susannah Frankel and Tim Blanks; photography by Solve Sundsbo. 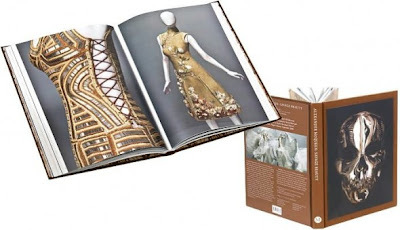 This beautiful coffee table book is the companion to the "Savage Beauty" exhibit at the Metropolitan Museum of Art that showcased the gorgeous, creative, and provocative fashions designed by the late Alexander McQueen. Thanks Santa ! We'd also like to wish all our readers a safe and happy holiday. Enjoy the day with your friends, family, and loved ones. Merry Christmas ! 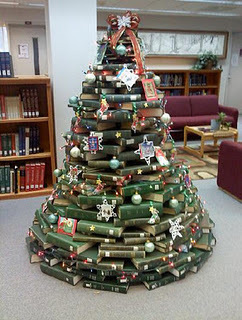 And let us know, what books were under your tree ? Christmas Books for the Kid in all of us! Well there are only 2 more shopping days left until Christmas! Have you gotten all your presents yet? I know I haven't, in fact today is when my husband and I will finish doing our shopping! When I started working for Borders "back in the day" (as my staff will attest) I was primarily a kids seller. I don't know how I got roped into it, but I always found myself in the kids room suggesting titles to customers who had NO clue as to what to get a child they only saw a handful of times a year. 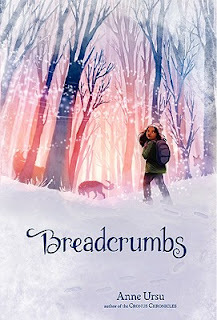 I decided for my first post to talk about the Christmas books that I really enjoyed as a child. 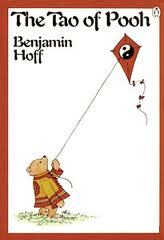 If you are looking for a good kids book to get for the holiday, perhaps this will inspire you. The first book I love during this time of year is The Polar Express by Chris VanAllsburg. I have great memories of my elementary school librarian reading this to our class every year. I always hoped that the Polar Express would come to my home and pick me up just so I could visit the North Pole. *sigh* Oh well, maybe my children will get that experience! The second book I love is that classic How the Grinch Stole Christmas by Dr. Seuss. Who can forget this classic tale about The Grinch and his quest to steal Christmas, only to be foiled by his own heart? I always wanted some roast beast! Where can I get it? My next recommendation may not be familiar to some of you, it's The Sweet Smell of Christmas by Richard Scarry. It's a cute story (complete with scratch and sniff stickers) about a little bear who is learning all about Christmas. My favorite scratch and sniff page to this day is the hot chocolate. We still have this book at my parents and it still smells!!!! For older kids, I suggest The Best Christmas Pageant ever by Barbara Robinson. What happens when a rambunctious family takes over the church's Christmas Pageant....well you will find out if you read this book. This includes the classic line "Hey Unto you a Child is Born!". I honestly think I would be freaked out if this happened in my church, but hey it makes for a great story! 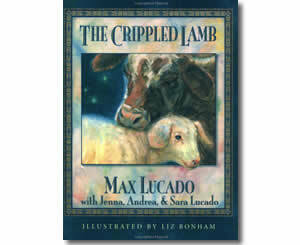 My final suggestion is The Crippled Lamb by Max Lucado. It's a tear jerker but for good reasons. It tells the story of a lamb with a birth defect who learns that indeed there is a reason as to why we are all here. I will not give away the ending, but it truly magnifies the meaning of Christmas! Well I hope you all enjoyed my suggestions for you! If you liked them great, if not that's okay too! I look forward to hearing from you and writing for you all next month! Since this all started as a book club, we will be posting monthly about the book we read and each providing a quick review. We'll also let you know what our book is for the next month, so if you want to read and come back to discuss the book you can! 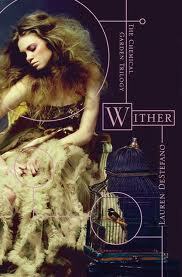 This month we read Wither by Lauren DeStefano. Science finally did it. The world's scientists created the perfect generation - completely free from disease. What they didn't know is that by doing this they condemned their children to brief lives followed by horrible deaths. Girls can't survive their twentieth year and boys die at twenty-five. The first generation watches their children and then their grandchildren die. Rhine Ellery has four years left and she just wants to live them in freedom with her twin brother. When she's kidnapped and forced into a polygamous marriage, Rhine is determined to escape as soon as she can. The complicated relationship between her new husband, her two sister wives, and her husband's father, Housemaster Vaughn, makes it easier to dream of escape than actually accomplish it. And then there's Gabriel, the servant she's starting to like more than is healthy. Will she spend the rest of her life trapped in the false comfort of the mansion or will she find a way to get back to her brother and the life that was stolen? Want to buy Wither? Please support your local brick and mortar stores! We are not promoting any particular store or location - we just want to encourage you to shop at your local bookstore - keep them in business! If you want to know what book we're reading next, you can skip down to the end! Below are our mini reviews - SPOILER WARNING! though there aren't too many specific details, we're talking about the book as though we've read it. Also be aware that the comments may also contain spoilers. Albert - Wither uses a dystopian allegory to talk about real issues surrounding human trafficking and women's rights. I like that you slowly begin to sympathize with Rhine's husband; he is a prisoner in a different way. Inalienable freedom is a great discussion topic for young readers who may be more sheltered than they know. 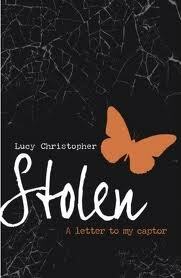 Jenn N. - What intrigued me the most about this book was how, despite the horrific circumstances the girls were in, they each found their own way to cope. While this book was bleak at times, there was an undercurrent of hope throughout that led to a satisfying, but slightly too easy conclusion. Regardless, I can't wait for the next installment, Fever, in this captivating new series. Jess B. 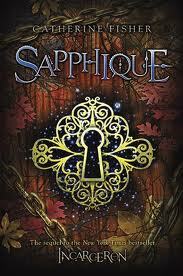 - I really enjoyed this novel between the "forbidden" concepts to the character development. I felt that this book drew you in and never really let you go. I found myself turning each page with a new found excitements. 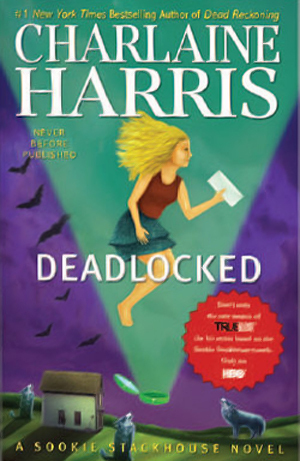 While I wouldn't recommend it for the younger readers, I do recommend it for us adults who have a taste for young adult novels. I am quite thrilled to see what the next installment brings. 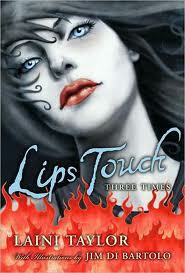 Jessica P. - I really liked the storytelling in this book. It was really easy to get into (even the backsotry) though it didn't seem appropriate for a 14-16 year old reader. Frankly some of the topics were a little too old for younger Young Adult readers. The twists and turns in it made for a good read! Rachel - I loved this story because, while it is a young adult novel, it touched upon adult issues such as polygamy, human trafficking, and prostitution. These topics, while disturbing, give this story a level of reality that I really enjoyed. I also felt that the character development was excellent for a YA novel, and I came to care about and feel sympathy for the characters. Except Vaugn. 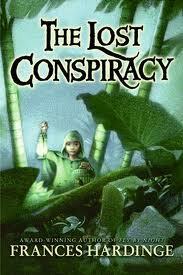 Rebecca T. - I loved the character development and worldbuilding in this novel. I really enjoy authors that can take characters you initially dislike and gradual build sympathy toward them. The ending was the only thing that bothered me a bit as it seemed that Rhine and Gabriel were able to leave a little too early. However, all that really did was make me speculate as to whether Housemaster Vaughn had some sort of nefarious purpose behind allowing them to leave or if Linden arranged things to make escape possible. 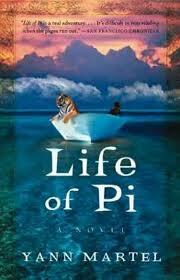 Definitely enjoyed the book. So what's up for January? The post should be up on Thursday January 19th. We had the amazing opportunity to have Brandon do a signing at our store, so tune in next month for pics from that event as well as our reviews of the book. Read along, if you'd like, and join the conversation! Labels: Albert, Book Club, group post, Jenn N., Jess B., Jessica P., lauren destefano, rachelyons, Rebecca T.
When I was a bookseller, I almost always worked Monday nights aka "laydown night." "Laydown" is a term used for new releases and their strict release dates. Just like a movie opens on a certain day, most books are assigned laydown dates and can only be put out for sale on a certain day. This day is most commonly Tuesdays. For a few years I was in charge of book laydowns. Then later and up until we closed, I was in charge of all the multimedia (CD and DVD) laydowns. After closing up Monday nights, we'd lay down all the new releases in the appropriate displays and shelves in preparation for Tuesdays opening. The weeks leading up to the holidays were always late nights as understandably it is a popular time to release beautiful coffee table books, cookbooks, and novels by best-selling authors. All that always seemed to slow down the Tuesday before Christmas with just a handful of laydowns instead of cartfulls. This week seems to be no exception. If you want to get a head start on your post-holiday diet and New Year's Resolutions, you may want to pick up "Push: 30 Days to Turbocharged Habits, a Bangin' Body, and the Life You Deserve !" by Charlene Johnson. If you're looking to escape the last-minute shopping frenzy, you could try getting lost in a new Sci-Fi/Fantasy novel such as "Enchanted Again" by Robin D. Owens or "Touch of Power" by Maria V. Snyder. If you're looking for a good book to read by the Yule Log, you may want to curl up with the thriller, "Burning Edge" by Rick Mofina," and if you forgot to by something for your teenaged niece or nephew, you may want to consider "On a Dark Wing" by Jordan Dare a teen supernatural thriller that sounds like a cross of the film "Final Destination" with Lauren Kate's "Fallen." I'll be back next Tuesday with the latest Laydown Lowdown. Merry Christmas and Happy Holidays Everyone ! Will The Real True Grit Please Stand Up? Originally published on facebook on February 3rd, 2011, and then revised and re-published on my own blog. I have edited and re-revised, and thrown in a few more parenthetical asides. Okay, here's the deal. This isn’t so much just a book review as it is a comparison of a novel, and it’s two excellent film adaptations. Prior to the release of the Coen Brothers' version of "True Grit," I seem to remember hearing several comments like, "this is closer to the novel," or "it's not a remake so much as a retelling” (whatever that means). Having always been a fan of the 1969 film, and John Wayne's portrayal of Rooster Cogburn, I was almost reluctant to see the new version. And now here's a little personal background, for those of you who haven't known me as long as others. When I was in high school I not only had a John Wayne t-shirt, but also a "God Bless John Wayne" bumper sticker on my 1970 Plymouth Valiant. Anyway, I did go see True Grit and thoroughly enjoyed it. Jeff Bridges could potentially become the second actor to receive the Academy Award for playing Deputy Marshall Cogburn. Very strong cast throughout. I’d have to give the nod to Matt Damon over Glenn Campbell as far as the portrayal of the Texas Ranger, LeBoeuf, but I’m sure there’s no surprise there. Glenn can still sing the pants off pretty much anybody (and probably has on a number of occasions). I was a little surprised that the 2010 film was so very similar to the 1969 film. Not disappointed, just surprised. There were very few changes in the story, and if I'd been inclined, I could have recited dialogue along with the actors for large portions of the movie, particularly Cogburn's testimony and cross examination in Judge Parker's courtroom, and the fabulous scene when Mattie Ross and Col. Stonehill argue and dicker over the resale of the ponies. So...I read the book. What a concept, right? Having never read Charles Portis's novel, I did so, to see what differences there might be. Again, I was quite pleasantly surprised to find that both films follow the novel almost exactly. There are almost no instances where Portis has large pieces of material that are not covered in BOTH films. Actually, the Coen Brothers added a couple of details that were not in the book, such as much of the dialogue between Mattie and the mortician (actually both film versions include the mortician’s line, “if you would like to kiss him, it will be alright”), LeBoeuf having a run in with Rooster and actually leaving them for a time being, and Mattie and Rooster happening upon a dead man hanging from a tree. These scenes were enjoyable, but they don't appear anywhere in the book. The novel is told in first person by Mattie Ross, who most of you know, is on her own quest for vengeance to bring her father’s murderer to justice. Mattie, in the novel, is unabashedly Presbyterian, and there are few shades of gray as far as she is concerned. In this respect, I will give the nod to the Coen Brothers’s film, for it is more focused on Mattie, than on Rooster (the 1969 film very much belongs to John Wayne’s one-eyed Marshall, and as I’ve alluded, that’s quite alright with me). In both films and in the book, Mattie stands and speaks on the strength of her convictions. Her perspective in the 2010 film is easier for the viewer to appreciate. Not sure why there would be such an emphasis on this "not being like the John Wayne version," unless they thought that 40 years later, audiences would shy away from a "remake of a John Wayne movie." Both are excellent films. I prefer some portions of each to the other, but probably couldn't pick an overall favorite between the two. If you haven’t read “True Grit,” by Charles Portis, I highly recommend it. Is it a “Western?” Well, yes. 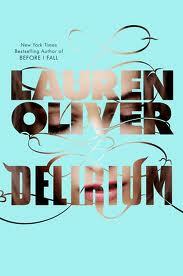 But it’s also this: a captivating story of a teenaged girl who is thrown into dire circumstances. She quickly learns to rely not only on herself, but also on certain individuals with whom she would otherwise barely exchange a glance or a word. At no point is she bitten, scratched, pursued or romanced by a vampire, werewolf, zombie or evil wizard. After you’ve read it, take the time to rent (and watch) both film versions. You will be treated to some wonderful performances by some of the most well-known actors of the last 50 years, including John Wayne, Jeff Bridges, Robert Duval, Barry Pepper, Matt Damon, Strother Martin and Josh Brolin. By the way, Robert Duval and Barry Pepper both deliver excellent performances as the outlaw “Lucky” Ned Pepper.